This is a list of suppliers of playground equipment in the UK. This list of suppliers was updated in 2015. 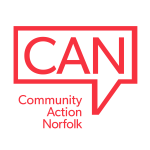 If you wish to be added to the list please contact us at Community Action Norfolk. Addition to this list is not an endorsement of the product or services offered. Action Play & Leisure Ltd. The Children’s Playground Company Ltd.
Flights of Fancy Creative Play Ltd.